Sheffield United completed the double over Port Vale, having won 4-0 in the reverse fixture at Bramall Lane earlier in the season. The victory pushed United over the the 90 points tally, and 12 points ahead of Bolton. The Trotters must win at Oldham in their match today to hand them a slim chance of taking top spot off the Blades. First half goals from Jay O'Shea and Leon Clarke was enough to put United into a comfortable lead at the break with Matt Done finishing in second half stoppage time to complete a memorable victory on Good Friday. Wilder made changes to the side and allowed the wing-backs a rest with both Basham and Done taking Freeman and Lafferty's place. Ebannks-Landell and Sharp were recalled to the side. Hanson was absent with a calf problem. United started the match the brightest from kick-off and was rewarded with an early goal. Two minutes into the game a Coutts delivery from a corner was too deep for a crowded box but Basham picked up the lose ball, and with very little option slipped the ball past two defenders into the path of O'SHEA who punished at a tight angle. At the other end, the hosts could only manage two long range efforts inside the first 15 minutes. Taylor's effort was held by Moore and Kiko's drive flew over the crossbar. United continued to create chances in wave of attacks. Sharp was unable to get on the end of a Coutts cross. Hooper went close for the hosts with a near post headed following Taylor's free-kick before the Blades doubled their advantage on the half hour. Basham's persistence again paid off, winging a ball into the box for CLARKE to volley home from the penalty spot and into the top corner. United continued to dominate the remainder of the first half. Sharp held the ball up from O'Shea's cross before teeing up Fleck who fired wide. On the stroke of half-time O'Shea and Basham combined with Bikey forced to clear his own crossbar. The hosts came out of the taps smartly in the second half and within 30 seconds of the restart forced Moore into a spectacular save from Foley's effort. Clarke failed to take advantage of a Vale mistake in the defence with his effort saved by the legs of keeper Mehmet. Clarke and Done then failed to combine and was caught in possession and resulting in Moore keeping Smith's effort out. Freeman and Chapman was introduced in the second half as the tempo grinded to an halt. Chapman twice put the ball in the back of the net but the referee had blown in advance. Clarke blasted over the top late on before being replaced by McNulty. As the game was drawing to a close there was still time for United to add a third one minute into stoppage time. Coutt's cross-field ball saw Freeman get the better of his marker and his low ball was turned home by DONE into the bottom corner. Port Vale: Mehmet, Purkiss (Reeves 37), Taylor, Cicilia, Hooper (Turner 78), Foley, Pugh, Kiko, Smith, Bikey, Eagles (Kelly 84). Unused: Streete, Tanser, DeFreitas, Fasan. 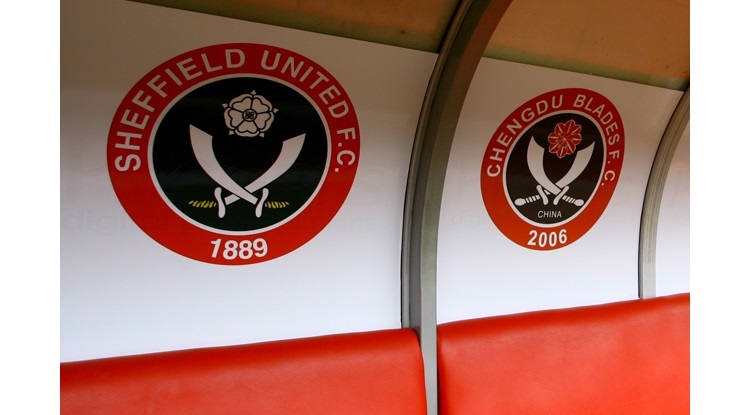 Sheffield United: Moore, Fleck, O'Connell, Basham, Sharp (Chapman 71), Done, Wright, Coutts, Ebanks-Landell, O'Shea (Freeman 55), Clarke (McNulty 90). Unused: Long, Duffy, Lafferty, Carruthers.